Sometimes we get caught up in being too clever. … a QR code leading to a cartoon video…. … or one of a hundred other “clever” marketing tricks. But I was reminded of the power of a simple, understandable image recently when I traveled down the coast of Oregon. 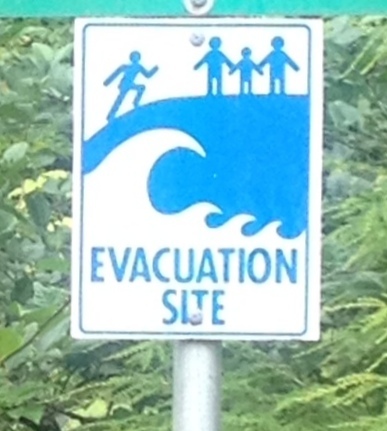 “If you see a tsunami, run this way“! So the next time you design a banner ad or a tradeshow booth, try the Tsunami Test. Ask yourself “If I had 5 seconds to read this and act, would I know what to do”? Previous Previous post: Do You Live Up To Your Brand Promise?